SKU: WS231-AS. Categories: Man Cave Signs, Sports Signs. 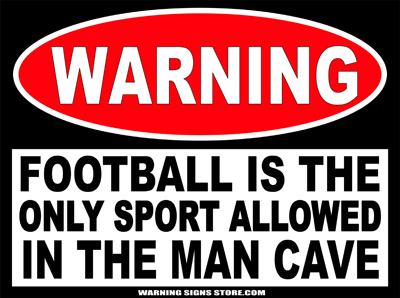 Tags: Football, man cave, Warning Signs. A lot of guys like sports. And a lot of guys like to watch sports in the comfort of their Man Cave. Think of it– big screen TV, a couple of recliners, a couple of 6-packs, sports memorabilia all around, a trophy or two from your glory days. And your best bud to watch the game with. Yeah, what could be better? If you’re into football– and we know you’re into football– this Warning Sign is just what you need to complete the Man Cave decor. This Sign and maybe a pin-up of your favorite model. But we don’t supply pin-ups. 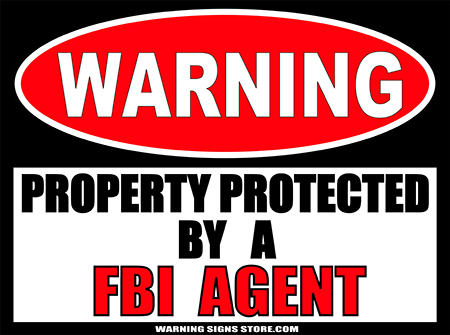 We supply warning signs and stickers. 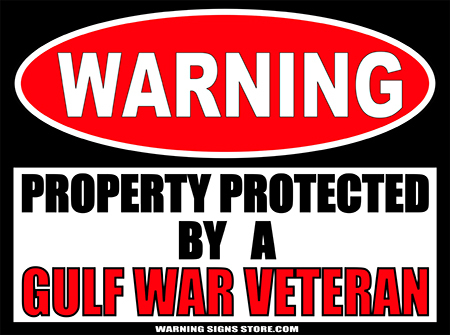 So buy this sign for your Man Cave. Or buy it as a gift for your buddy’s Man Cave. It’s a manly gift and it will be appreciated. This Man Cave- Football Only sign measures out to approximately 9″x12″. It is printed in a glossy finish with eco-friendly inks on a premium vinyl polymer and backed with 0.040 gauge aluminum. Our inks are UV resistant and designed to last 7-10 years, indoors or out.